James Fraser here … I am back from my 3 weeks of mineral exploration work in Northern British Columbia. It was great to get out in the field and do some Induced Polarization (IP) and soil sampling work. 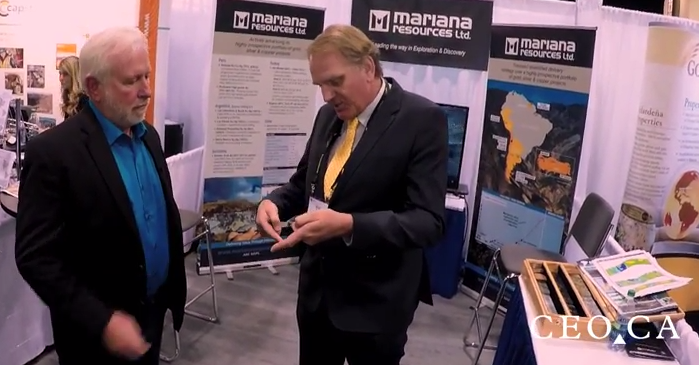 Tuesday morning news includes more excellent drill holes from Mariana Resources. Mariana Resources (MARL:AIM) – Mariana has reported more high-grade copper-gold intercepts at the Hot Maden project in NE Turkey. Assays are out from an additional four holes drilled by JV partner Lydia, with some impressive intercepts.  Lydia has advised that it has spent the USD 2.5M required to earn a 70% interest in Hot Maden, subject to payment of USD 0.35M to Mariana. Mariana has been one of the top exploration stocks of 2015. It is very rare to see intercepts and grades of this magnitude. The project has been advanced from discovery to a resource estimate of 3.01 million gold equivalent ounces (AuEq) at a grade of 11.2 grams per tonne in just 6 months. This morning’s assays are impressive, especially hole HTD-25, a 250m stepout hole south of the current resource that shows potential for a new zone. Mariana has said they will be using the US$350,000 payment from partner Lydia on further exploration at Hot Maden. With Lydia’s 70% contribution, a total of $1.16 million is expected to be spent on additional exploration. Drilling is expect to recommence shortly and will focus on testing extensions at the current mineral resource estimate and following up the high-grade discovery at HTD-25. Metallurgical testing is also planned, which will be used for a PEA. Mariana caught the attention of Sprott earlier this year; Sprott did a private placement and now owns ~6.5% of the stock. Of note: Turkey has a general election on Nov. 1.